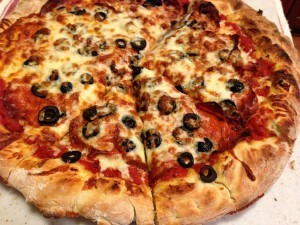 Perfect Pepperoni Pizza with Black Olives. 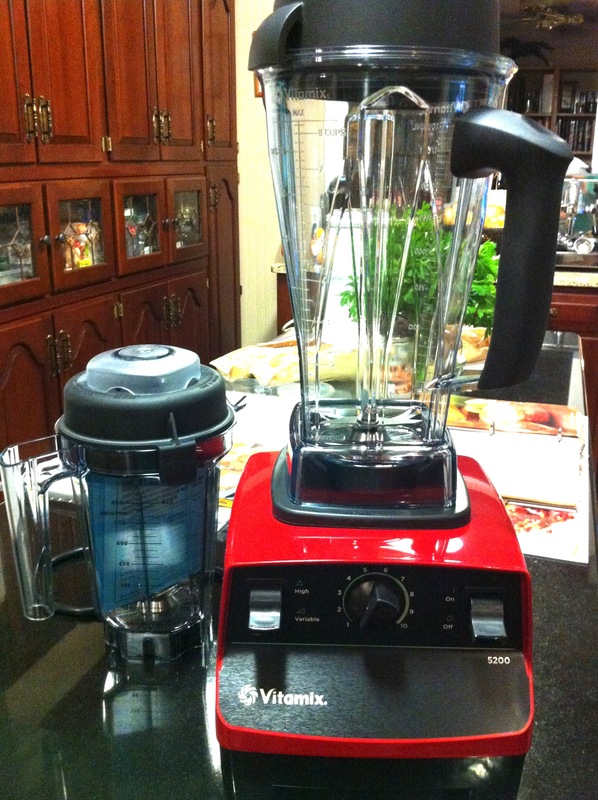 Last year, I was fortunate enough to be able to purchase a Vitamix machine. The Vitamix is wonderful. It creates wonderful smoothies, soups, chopped veggies, and even helps me make quick pizza dough from scratch using the dry container (pizza dough recipe included when you buy the Vitamix dry container). 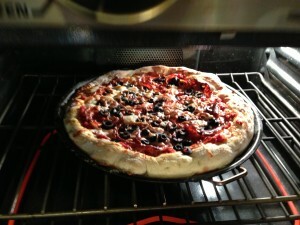 With the help of the Vitamix, in about 30 minutes, I can bake a Perfect Pepperoni Pizza with Black Olives. My Vitamix is one of my favorite cooks tools! You can use store-bought fresh dough or make your own like I do in my Vitamix. 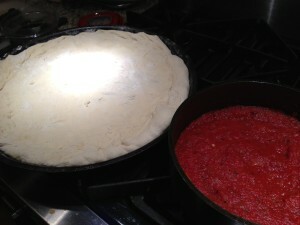 Also, I use my Roasted Tomato Sauce as the sauce base for the pizza. As for pizza toppings, I love pepperoni. My favorite pepperoni is one that’s super thinly sliced. Thicker pepperoni is fine in small pieces. But I like the big slices, super thin. And I prefer either mushrooms or black olives with my pepperoni topping. Green or red bell pepper and some thinly sliced onions get me to that “everything” pizza pretty quick! Assemble the toppings and throw on some shredded mozzarella and grated parmesan and it’s time for baking! Bake the pizza just as long as you like. Some people like a goopy sloppy pizza and others prefer a drier outcome. 2. 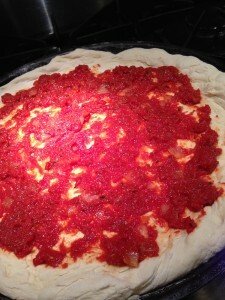 Roll out pizza dough on flour-covered cutting board and transfer onto oiled pizza pan. 3. Quickly heat the roasted tomato sauce or your choice of pizza sauce in a small saucepan. 4. Spread the sauce on the pizza dough. 5. 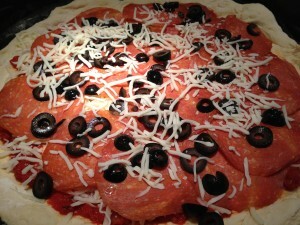 Top the sauce with pepperoni and black olives and sprinkle with the cheeses. 6. Bake pizza for 8 – 12 minutes until crust is golden. 7. 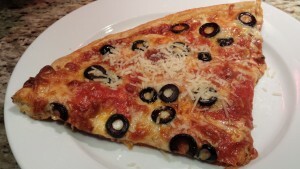 Remove pizza from oven and cut into slices. Garnish with additional Parmesan. 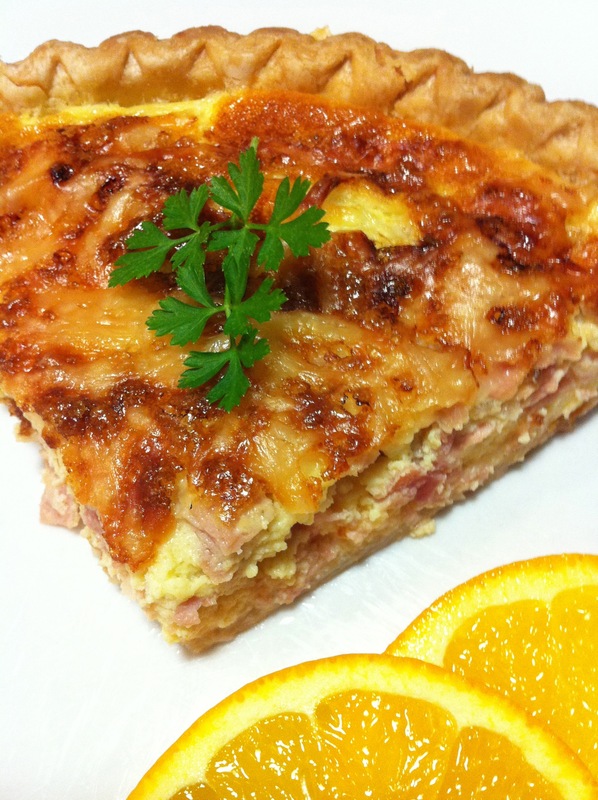 Serves 4 – 8 depending on portion size. Variations: The variations are endless as long as you keep the pepperoni topping on the pizza! 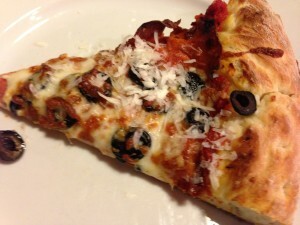 Sliced mushrooms, onions, or bell peppers can substitute for the black olives. 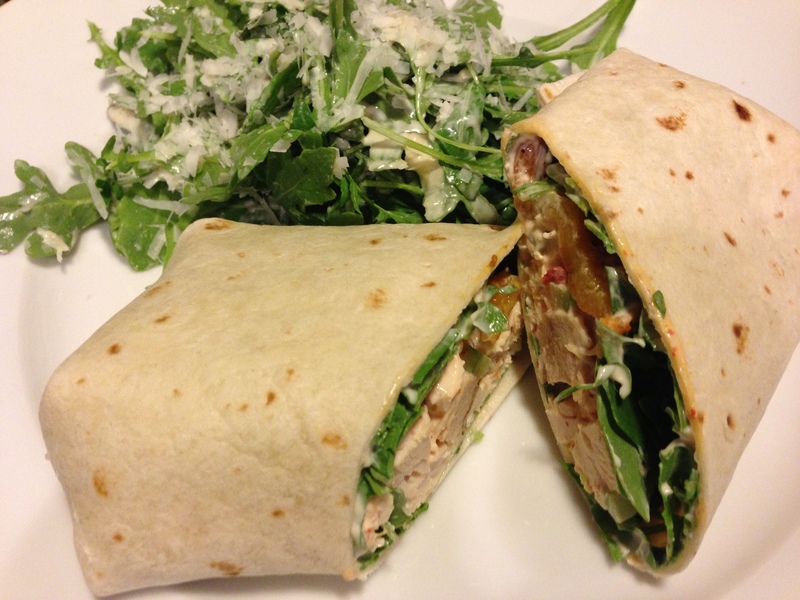 As always, use fat-free or lowfat cheeses to lighten the recipe. 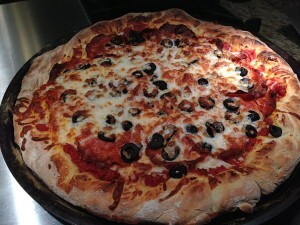 Use wheat or multigrain dough if you prefer, or even one of the Boboli pre-made pizza crusts. A sprinkling of fresh chopped basil on the pizza just before serving is nice, too!